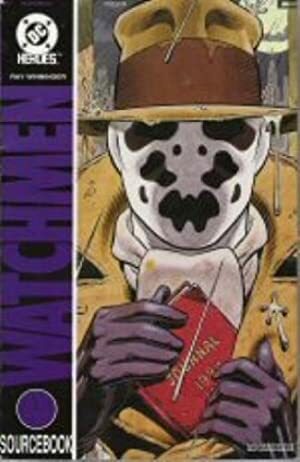 Dollar Bill is one of the minor characters in landmark 1986 graphic novel Watchmen. 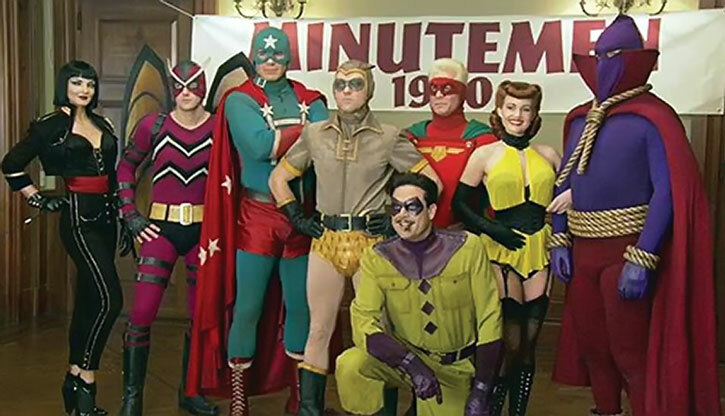 He was one of the Minutemen, the 1940s team of costumed crimefighters that is the root of the Watchmen. 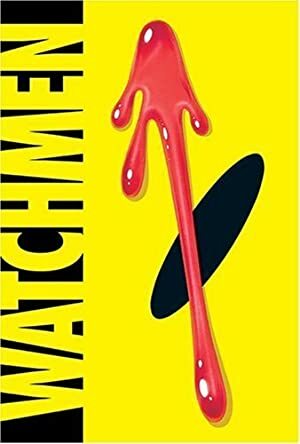 This profiles uses the additional, Moore-approved data from Ray Winninger’s DC Heroes RPG supplements based on Watchmen. Eyes: Unrevealed Hair: Unrevealed Age: 29 at death. Dollar Bill was a star college athlete, who received training in hand-to-hand combat when accepted for his job. Judging from the snippets in the Sourcebook, Brady also enjoyed a great deal of luck in his short career. Bill Brady was an All-American football player from a small rural community in Kansas. He became Dollar Bill on the day he answered a First National Bank of New York ad. The bank had decided to create an in-house superhero as a publicity gimmick. Brady was exactly what they were looking for. He was trained in hand-to-hand combat and security procedures, and placed on daily duty at the bank. Not only did the publicity stunt work, attracting hundreds of customers to First National, but Brady actually managed to foil a number of robbery attempts. For added publicity, the bank “lent” him to the local police from time to time to help out in their cases. They also permitted him to join the Minutemen. Although Bill Brady seemed to lead a charmed life, his luck finally ran out in 1947. During an attempt to stop a bank robbery, his cape got caught in a revolving door. As a result, the young hero was shot to death. Dollar Bill’s costume was designed for maximum publicity appeal. It had a huge dollar sign on the front and a cape that reached his feet. The Taking out the Trash module elaborates on his personality somewhat. It states that the quiet and soft-spoken Brady never lost his country boy charm and the innocence of his rural roots. Such advertising-based “superheroes” are all over the place in the mainstream DCU. Most of the time, the real superheroes treat them with unconcealed disdain. Dollar Bill, however, due to his friendly charm and obvious desire to help out rather than simply hawk the first National Bank at every opportunity, is one of the few such characters to gain genuine allies among the “real” heroes. Perhaps the most surprising of these is Green Arrow, who still occasionally taunts him about being a corporate shill (Bill good-naturedly laughs it off.). He might also have a link to the Green Team, whatever they’re up to these days. 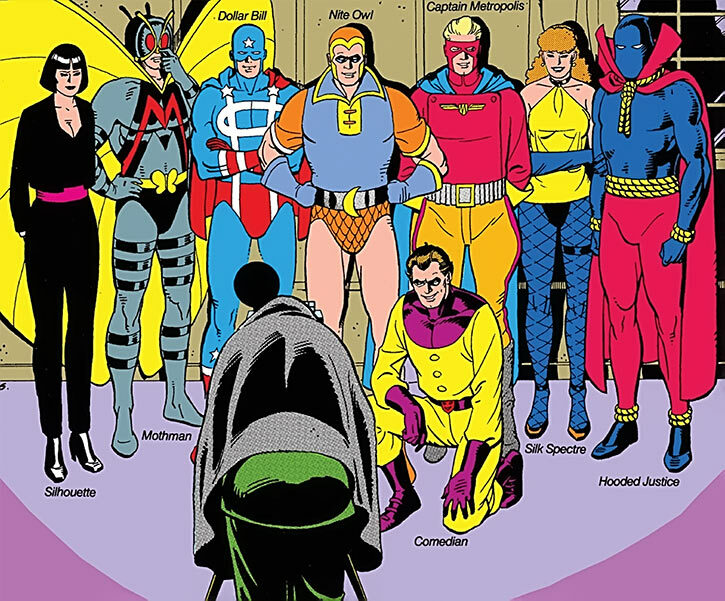 If you wish to place him in the same time frame as he was in Watchmen, Roy suggests that Bill he may have been one of several unfortunates on the home front inspired by the likes of the JSA and the All-Star Squadron, but who regrettably lacked the level of skill needed to survive as a superhero. 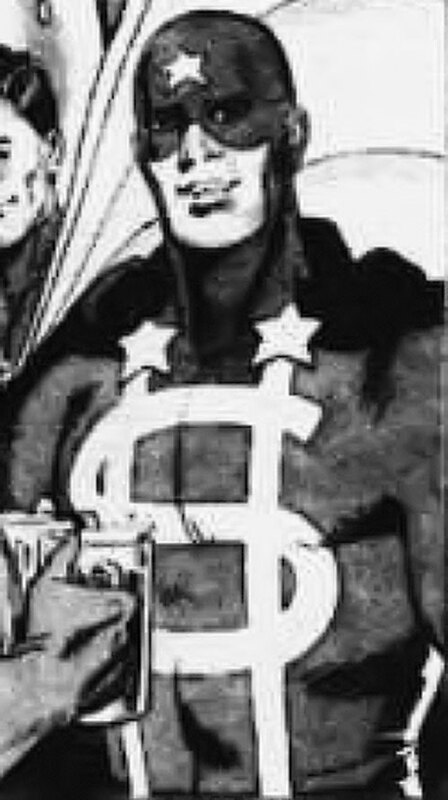 Vincent Paul Bartilucci suggests that Bill may have been a member of the All-Star Squadron, and that the JSA might look upon the corporate hero Booster Gold as a legacy hero of sorts. 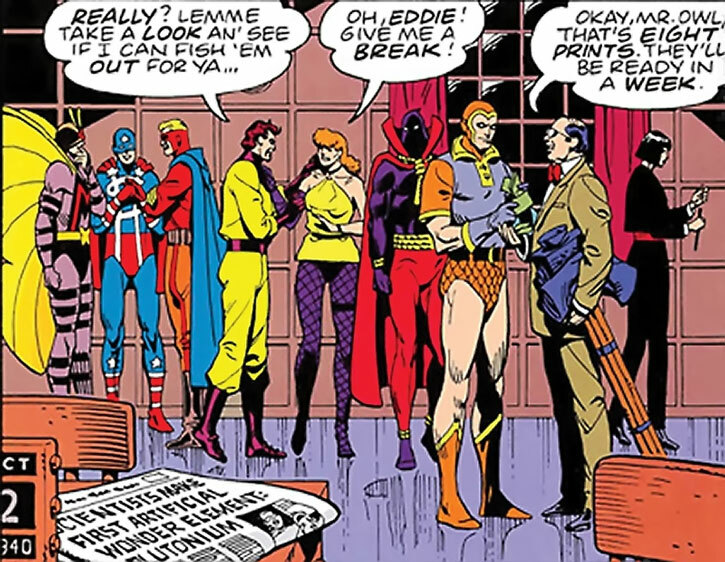 The First National Bank might have been inspired to create Bill by Booster Gold’s exploits and might even have hired Bill when Booster Gold asked for too much money to appear at a grand opening ceremony. Intensive Training, Local Hero (New York), Luck. First National Bank (Low), Professional Athletes (Low), The Minutemen (High). Authority Figure (Bound to the whims of the First National Bank of New York), Secret Identity. Costume [/DEX 03/ BODY 03] [Bonuses & Limitations: Maximum DEX while wearing the costume is one lower than normal.] This costume is actually somewhat awkward, and restricts Bill’s movement. Although “Taking Out the Trash” and the Sourcebook were helpful, I made a few alterations to stats and such that didn’t feel quite right, and left out the Charisma skill since what we hear of him speaks more of high Mystical stats than an ability to manipulate people. Helper(s): capita_senyera, Ethan Roe, Roy Cowan, Sébastien Andrivet, Vincent Paul Bartilucci.